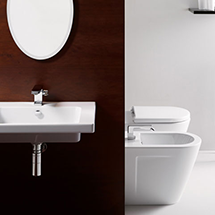 Astra Walker delivers Australian made, durable and environmentally-friendly bathware products that combine performance with contemporary and classical design. Independent and family-owned, Astra Walker is a brand synonymous with superior craftsmanship, precision and quality. With a range of finishes available – including the revolutionary DuraShine Chrome Plate – Astra Walker offers the flexibility to custom-develop and produce products to meet your project’s special requirements. By choosing products from the Astra Walker collection, it means your bathware has met the most demanding test and certification requirements. Astra Walker takes functional design to another level and is an astute choice if you’re striving to maintain synergy throughout your bathroom project.